Home Skin Cancer Identify Early Signs Of Skin Cancer To Avoid Further Complications! Identify Early Signs Of Skin Cancer To Avoid Further Complications! 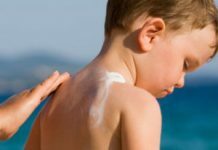 Whenever your skin is exposed to harmful rays of sun, it can cause the most irritating skin cancer. The early signs of skin cancer can primarily change the texture of your skin that mainly results in growth or irritation on your skin. Where do the signs of skin cancer primarily appear? Apart from the sun exposed parts of your skin, the signs of skin cancer also develop on or surrounding areas of non-cancerous skin growth that are damaged due to any other reason. But, more often, skin cancer primarily develops on certain specific parts of body including scalp, lips, ears, chest, neck, arms, and hands and also on legs of your body. 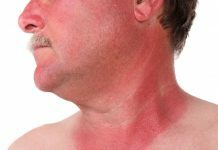 Very rarely, you can notice the signs of skin cancer at certain areas of your body that are rarely exposed to harmful rays of sun. 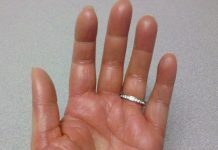 These areas can mainly include palms, spaces between your toes and also at the genital areas of your body. Do you think any change in your skin texture as a sign of skin cancer? Not all the changes in your skin are considered as a sign of skin cancer. Most of the moles and other abnormal growths on your skin doesn’t cause any harm for your health and do not need to be removed. Only certain moles that look unattractive or which causes persistent irritation by clothing can be considered as a sign of cancer. Basically, the signs of skin cancer or any cancerous skin lesion can appear suddenly or at times it will develop gradually. But, its appearance mainly depends up on the types of skin cancer. So, here are certain signs of skin cancer, which can help you to identify the exact cancer without confusion. When you are affected with basic cell carcinoma, it usually appears like a raised, smooth, pearly bump on the sun exposed parts of your skin. With this basic cell carcinoma, you can clearly notice the small blood vessels within the tumor and it is often mistaken as a sore that doesn’t heal. When you have squamous cell carcinoma, you can notice a well defined, red scaling patch on your skin. If this abnormal scaling on your skin is left untreated, squamous cell carcinoma develops into large mass. Major malignant melanomas are identified with brown to black pigmented lesions. Certain warning signs of this type of skin cancer can mainly include change in size, shape, elevation and color of abnormal mole. So, whenever you notice any of these cancerous growths on your skin, immediately consult your general physician and get better treatment to avoid further complications on your skin.